Ultra-responsive with a unique design, this website has been designed to help this humanitarian organization spreading the words all over the world. 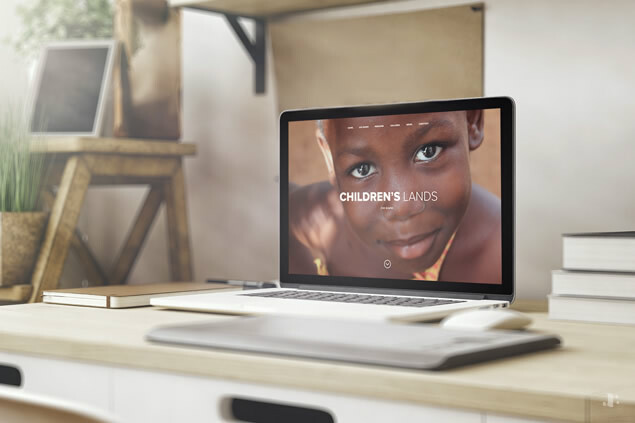 Running entirely by volunteers since 2003, Children's Land is a non-profit humanitarian aid organization providing assistance, support, and education to children and young adults in Ghana. With their experience, they give hope and future to children building schools, water cisterns and residential facilities. Working closely with this association to understand in the best way their needs, this 100% responsive website offers a great user experience, helping this organization to spread the word. Thanks to the amazing work of the 3D artist and photographer Corrado Virgili, I was able to use some images he took during his latest trip in Ghana. All images are copyright protected and are the property of Children's Land.